Sing along with BBC World Service radio show CrowdScience, which takes listeners’ questions and turns them into award-winning audio adventures. 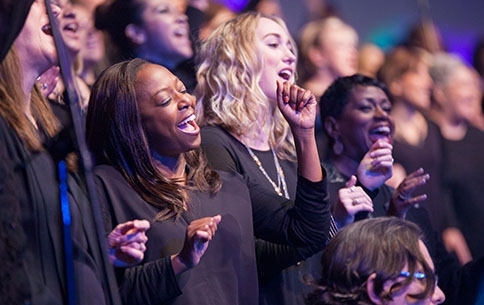 Singing can lift our spirits, but research evidence suggests it could also improve breathing for people with lung conditions and help us cope with dementia. Could it even have a preventative effect? Join Daisy Fancourt, Senior Research Associate in Behavioural Science, Simon Opher, Clinical Lead for Social Prescribing and Maggie Grady, Director of Music Therapy at Mindsong, as they team up with local singers to find out what this much-loved musical pastime can do for us.